Oscar predictions: Which Film Will Win Best Picture? The 91st Academy Awards will be broadcast live on Sunday. 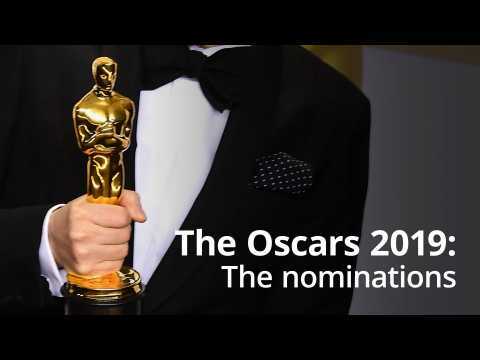 Associated Press Film Writers, Lindsey Bahr and Jake Coyle, shared their predictions, including which movie will take home the coveted Best Picture award. Channel24 reports that the Best Picture nominees are Black Panther, BlacKkKlansman, Bohemian Rhapsody, The Favourite, Green Book, Roma, A Star Is Born, and Vice. Both Bahr and Coyle believe that Roma will snag the golden award. But they also have strong opinions on which film should actually win. Bahr believes that A Star Is Born should win. She explains, "Roma is wonderful, but I fear it's one of those films that won't be re-watched or even talked about much 5 or 10 years from now, whereas A Star Is Born is not only great, but feels like a classic already." Coyle believes that Black Panther should win. He adds, "Black Panther and the response it provoked epitomised the cultural height of movies, something some doubted was still possible. Wakanda for 24 February." The Oscar race for Best Picture is tighter than ever before, but one group of people want to see Black Panther take the top prize. When it comes to the Marvel Cinematic Universe film, it has the support of the people. Thanks to a recent poll, we now know moviegoers want to see Black Panther win Best Picture at this year’s Academy Awards. According to USA Today, Fandango polled more than 3,000 people. The 'Bad Romance' hitmaker shared the Best Actress honour with 'The Wife' star Glenn Close at Sunday's ceremony and used her time on stage to pay tribute to her 'A Star is Born' co-star.